In 1997, PTT Public Company Limited built the Khanom gas separation plant (GSP #4). Located in Nakron Srithummarat, 700 km south of Bangkok, GSP #4 receives gas via a 24 inch undersea pipeline from an offshore platform operated by PTT Exploration & Production. The plant produces 246,000 t/y of liquefied propane gas (LPG) and 43,000 t/y of natural gasoline (NGL). The LPG is supplied to homes throughout southern Thailand and to a local power station, which generates electricity for the entire region. This plant has operated since 1997 with a CENTUM CS production control system (PCS) that was installed by Yokogawa Thailand. It has proven to be highly reliable, operating continuously without any major problems for this entire period. The customer was seeking to improve safety and have operations run more smoothly not only during plant shutdown/start-up but also during normal operations. Yokogawa Thailand demonstrated that Exapilot was easy to configure and use, and showed how it could be used to fully automate and speed up the start-up and shutdown procedures. This reduced the operator workload around 40% and protected pumps by eliminating unnecessary speed increases that cause them to heat up. Exapilot improves control of a non-linear air damper to optimize the fuel air ratio, based on O2 measurements performed by a Yokogawa zirconium type oxygen analyzer. This reduces the consumption of fuel gas by two oil heaters, and each year saves the company $30,000 in fuel costs and reduces CO2 emissions by 210 tons. Previously, eleven cooling fans ran non-stop. Based on ambient temperature readings, Exapilot is able to reduce electricity bills by switching the fans on and off. Exasmoc APC software is normally used to control the feed flow in response to changes in the power plant load. To accelerate response times, feed and bypass gas flow control is now also performed by Exapilot. By switching between these programs, it has been possible to reduce propane costs by $450,000 per year. The power plant uses gas from an offshore platform that is approximately 22.5% CO2. If this rises above 25%, plant efficiency goes down. Exapilot maintains CO2 within agreed levels, keeping the power plant customer happy and increasing LPG yield by $450,000 per year. Exapilot controls the venting of the loading pumps and controls product flow during LPG/NGL ship loading, reducing electricity consumption and preventing LPG product loss. 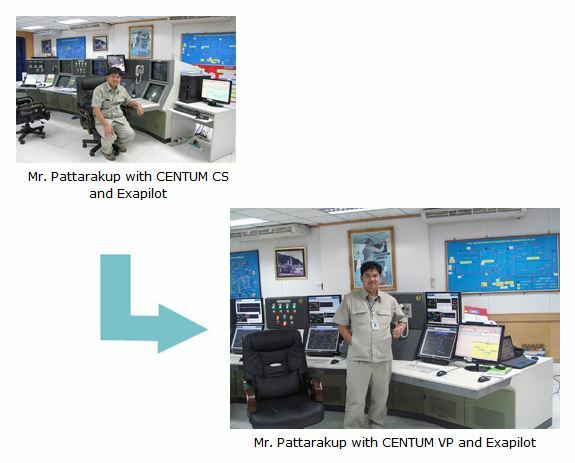 Kanit Pattarakup, process control and DCS board man at PTT Khanom Gas Separation Plant #4, said, "We are very much happy with Yokogawa's CENTUM CS, Exaquantum, Exasmoc, and Exapilot. Exapilot is really easy to use and has improved production very much, and it has been applied to three main procedures ( start up, shut down, normal operation : 24 sub procedures ) to achieve real production excellence. 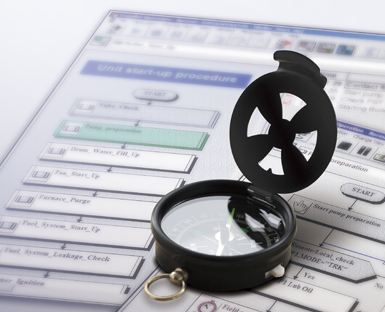 We have confirmed the high reliability and solid functionality of Exapilot in various applications. 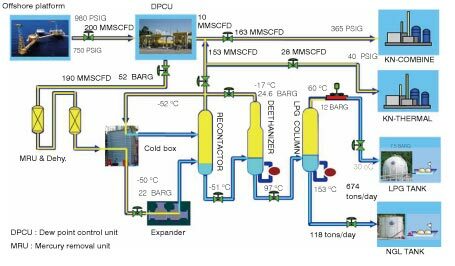 This is a real solution package and a good tool for the plan-do-check-act (PDCA) cycle to achieve operational excellence in the plant." 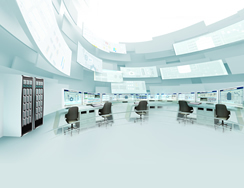 "This year we successfully replaced the existing CENTUM CS with the Yokogawa's most current CENTUM VP. We are always challenging to be a VigilantPlant"